4 simple steps to help you determine where you are on the path to RPA success - and what your priority objectives should be! Have you identified a set of processes which are suitable for Robotic Process Automation? Predictable and rules-based: to be automated, the processes you want to target with RPA must be predictable and rules-based, i.e. no subjectivity or need for a judgment call. While some exceptions can be treated with human intervention, processes with many exceptions are not ideal for RPA. Mature: you don’t want to go through the implementation process for a workflow only to have to change it again. Ideal processes for RPA are mature and are unlikely to change in the near-future. Expensive: Any process which is repetitive and costly are usually prime candidates for automation. Plus, if any of these processes impact your customers then the faster turnaround time will also reap benefits in customer satisfaction. Error-prone with low-tolerance for mistakes: processes which can cause upset in the service your company provides customers should be priority processes for automation. This is also true for the processes which are timely-sensitive, as automation will significantly improve the completion time. Congratulations on identifying the workflows most likely to produce the best ROI on your investment. The next step will be to get management buy-in and ensure that your entire team understands the benefits of RPA, both for them and the company. Have you secured stakeholder buy-in? In RPA, the teams are just as important as the technology. This is especially important when employees are worried about keeping their jobs! First, you will need to build a compelling business case to secure management buy-in. Clearly outline the benefits and propose a scalable solution, where ROI from early wins can be re-invested to fund subsequent projects. Then, you will also need to get team buy-in It's important to adopt a transparent approach and communicate expectations for the future. For example, you can provide information on how certain team members will be retained or re-allocated to different departments. It's important to have a compelling business case in order to secure management buy-in, as well as your team's support. Review the feedback you have received from different groups and identify concerns that can be addressed. When it comes to getting management on board, you need to emphasize ROI and the option for a scalable approach to automation. When it comes to convincing your teams, you'll need to address 'what's in it for them' and explain how the upsides will be beneficial for everyone and the opportunities it represents. Yes, all the stakeholders are on board. Excellent! you have made a compelling business case, you have secured management buy-in, and your teams' expectations are aligned. Organization buy-in is just as crucial as management buy-in to ensure the long-term success of the project. RPA will empower workers to take on responsibilities for more engaging tasks, rather than repetitive, low-value work. Have you chosen a suitable RPA partner? Not yet. I need to start evaluating potential partners. Does the potential RPA partner have proven case studies to share their success stories? Does the potential RPA partner have the expertise and capacity to understand what's at stake for your company in your industry? Does the potential RPA partner have an implementation plan which allows an early win and proof-of-concept, with a scalable solution? We have started looking for the right partner but we don't know how to make the right selection. The criteria you use to select your RPA partner will depend on your company, industry, and your use case. 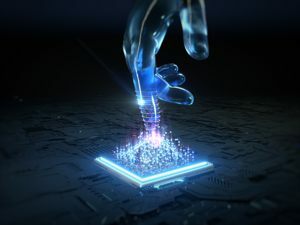 Nonetheless, there are some common elements to consider, such as whether the potential RPA partner is committed to the latest technological developments, or whether the potential RPA partner offers extensive support to ensure that implementation of the project will go smoothly. This could include offering services that will help you secure organisation support, such as team training or experience in user design. Total cost of the project, from cost of set-up ongoing maintenance. Scalability of the project, so that the automation processes can grow with the company. The analytics solutions that can be provided by the potential RPA partner, so that they can help identify improvements that will further maximize ROI. I've selected an RPA partner. Now what? The analytics solution that can be provided by the potential RPA partner, so that they can help identify improvements that will further maximize ROI. Using these factors will help ensure that automating your chosen processes will help your business run leaner and more effectively. Have you developed a robust implementation strategy? Before you can begin your automation strategy, you need to construct a road map to execution. Each organisation's roadmap will differ depending on objectives, projects, and business models. For example, a company which is receptive of change and digitally mature will require a different strategy than a company with a culture that is reluctant to change and is not digitally enabled. For example, if your organisation is struggling to get the necessary buy-in from management, your focus during the Strategy & Planning stage could be to effectively communicate the benefits from RPA and develop a sound roadmap to execution. On the other hand, if your organisation is not digitally advanced, then your focus during the proof-of-concept phase could be t educate employees about RPA benefits and provide opportunities for retraining. You will also need to identify which processes are priority for automation and put in place a framework for implementation including milestones and timelines, retraining of concerned employees, and opportunities for review and feedback. This is particularly important because setting KPIs will enable you to measure progress and report ROI to management: an essential step for securing investment and buy-in for the next phases. Yes, I have a strategy in place. Once your strategy is in place, you will need to go back and ensure that your processes have been optimized before you start on your automation journey. There are several main considerations to address before finalizing which processes are optimal for automation, For example, are any process variation due to it being applied in multiple geographic locations or across several business units? This is important as extensive variations may affect scalability for automation to your entire organisation. Once you have reviewed your processes, consider whether they may benefit from optimization before automation starts.